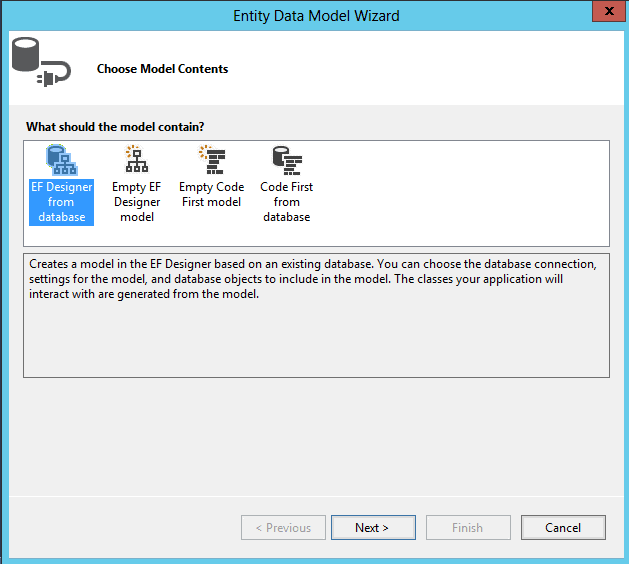 Entity Framework (EF) is designed to work with a variety of data sources. Although this presents many advantages, there is a downside that many of the special features of a data source such as SQL Server are off-limits. 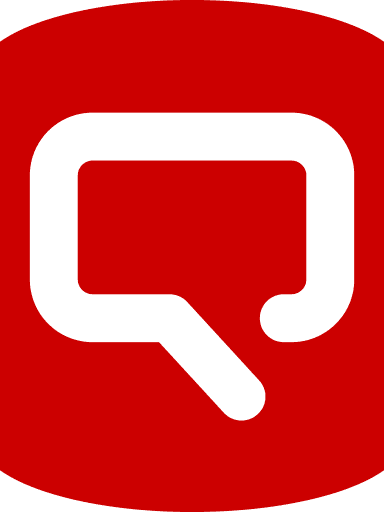 Query Hints are an example: though often misused, they are occasionally important. Dennes Torres shows how you can use these in EF, using a command interceptor that will allow you to use any query hint with SQL Server. Query Hints should be used carefully, because they restrict the possible optimizations during the query compilation, and they may, later, force the optimizer to use poor strategies when the data changes in size or distribution: There are, however, occasions when they are required. This is a problem for anyone using Entity Framework because there isn’t a built-in way to specify query hints. In fact, Entity Framework is agnostic about the database server, because it uses providers that translate the generic queries to the native database language, so it’s not easy to include a feature such as query hints that is specific to SQL Server. However, the query-translation process is extensible. We can intercept the query-translation using a DbCommandInterceptor and thereby change the query text to include the query hint. In this article, I will give a step-by-step account of how to build a command interceptor that will allow you to use any query hint with SQL Server. You can analyze the entire walkthrough or skip the first part and check how to use this library in the example later in the article. Occasionally, query hints become very important, such as when you need to lock records in a query. 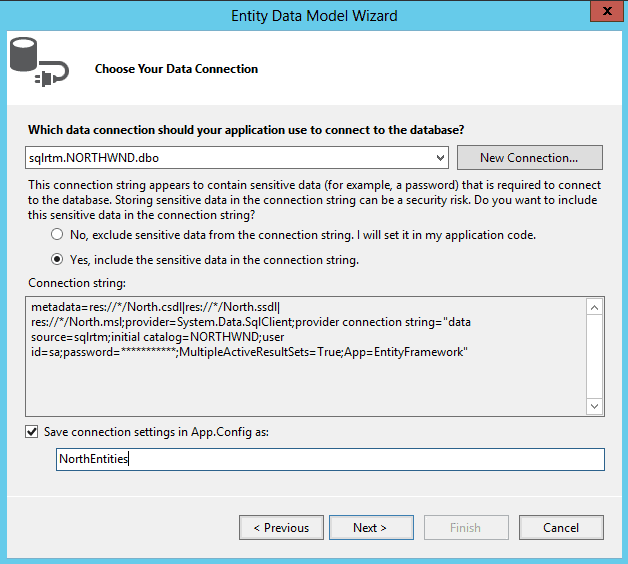 Unless we find a way to use hints with Entity Framework, we are forced to use stored procedures with Entity Framework, which will increase the dependency on synchronised changes in the database when refectoring data objects in the application. We are filtering the records by a field whose values are unevenly distributed in the table. Such type of queries will need the Option Recompile hint or they will suffer terrible performance problems. We need to block the access to a record we are reading until the business transaction finishes. You may think I’m forgetting the most used query hint in many applications: NOLOCK. No, I’m not forgetting it but the developers should. Most developers think the only problem NOLOCK can cause is when a transaction is rolled back, causing dirty reads. It’s not so simple. When using NOLOCK, the query will not respect even internal SQL Server operations, such as page splits. In a page split the records are moved from one page to another. If a query using NOLOCK is reading the pages, the result is unpredictable: it can read the same record twice or not read it at all. This makes NOLOCK way more dangerous than most developers think and it should be avoided at all costs. The solution for the contention problem, especially in reports, is the use of Read Commit Snapshot Isolation in the database, instead of using NOLOCK. Once it has been configured in the Entity Framework context, a command interceptor is always executed, for every query. We can use this fact to develop the interceptor to apply a query hint to every query. We then just need a way to identify which hints we would like to apply to which queries. A graceful solution would be to including the query hint in the LINQ expression, creating some extension method we could apply to our LINQ queries. However, the command interceptor doesn’t have access to the LINQ expression: it receives only the query text that will be sent to the database. The solution will be to create a static collection of hints that we can fill before executing a query and clear just after the execution. It needs to be static to be accessible from anywhere in our code and it also needs to be thread safe, because two concurrent threads shouldn’t affect the hints of each other. Our solution also needs to consider that there are two types of hints: Table hints, applied to a specific table and query hints, applied to the whole query. These hints are inserted in different parts of the query: The design of our solution needs to be suitably flexible for this. The command interceptor will need to get the string representation of each hint in the collection, but the hints must to be separated according to whether they are query hints or table hints. We can create a class hierarchy that allows us to identify each hint type by their class type. Finally, we can’t forget that some hints are incompatible. For example, we shouldn’t use UPDLOCK and SERIALIZABLE in the same query and table. The collection needs to check the compatibility between the hints and avoid having incompatible hints. We will need Visual Studio and SQL Server to build our solution, but any Visual Studio version from 2012 and any SQL Server version from 2008 will work. Each hint has custom behaviors such as the string representation and compatibility check, so each hint will need to be a custom class. However, we need a base class to specify the common behaviors for all the hints. Replace the ‘HintBase.cs’ class with the code below. I’m using an abstract class, because some methods will need to be replaced in every new hint. The collection of hints needs to check the compatibility of a new hint with the existing ones every time a new hint is included. Because of that, we need to build a custom collection, inheriting from Collection class, and intercept the methods to insert new items in the collection. Each time a new hint is added to the class, we need to check if this hint is compatible with the existing ones. The collection will start the compatibility check, but only the hint itself can tell whether it’s compatible or not. ‘HintBase’ needs a new method to generate the hint as a string. The string representation of most of the hints will be exactly the name of the class, so, instead of creating an abstract method, I will create a virtual method, in a way that most hint classes will not have the need to override this method. Using the ‘Hint’ method and the ‘QueryHint’ and ‘TableHint’ class, we will create a method in the ‘HintsCollection’ class to transform the hints into string according to their type. Our main task when creating the hints is create the code to check the compatibility of the hint with any other hints. Several hints will use the same code to check the compatibility. For example, Serializable, RepeatableRead and UpdLock are hints that affect the lock behavior and they shouldn’t be used together. We will create one more derived class to implement this compatibility check. Finally, the specific hints will be easy to create. I will create five specific hints as a demonstration, the complete solutions would need classes for all possible hints in SQL Server. Three of these five hints will inherit from ‘LockHint’ class because they need the same compatibility check we created before. The other two will inherit from the ‘TableHint’ and ‘QueryHint’ classes. The ‘HintsInterceptor’ class will receive the query text and has the task of processing all the hints inside the collection and inserting them in the query text. We need to understand in more detail how this class, ‘HintsInterceptor’ will generate the query text with the hints so we can create the correct methods needed for this task. Since we have two types of hints, query hints and table hints, the ‘HintsInterceptor’ will have to separate the two types of hints in the collection before we process them. Each hint has the method ‘Hint’ to generate its string representation. The ‘HintsInterceptor’ will need to call this method for each hint, concatenating the results in two different strings, one for the query hints and the other for the table hints, the two types of hints. 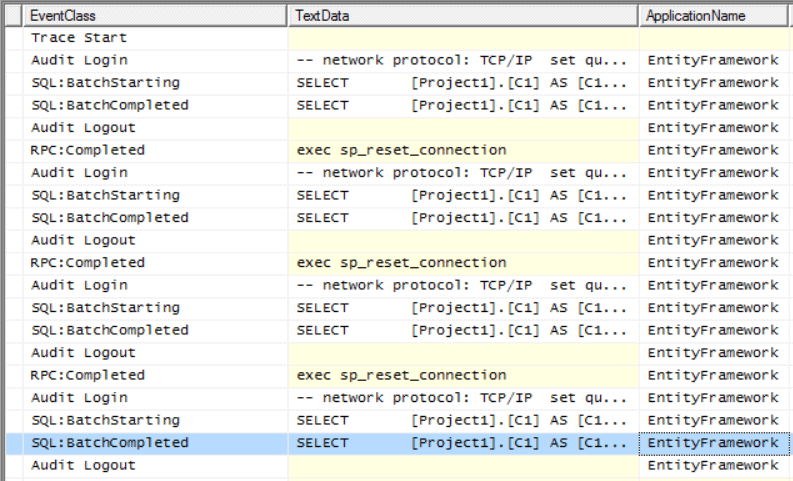 Finally, the ‘HintsInterceptor’ needs to insert each resulting string in the query, but doesn’t know how to do it. Each hint type, query hint and table hint, knows how to insert the hints in the query, the ‘HintsInterceptor’ class only needs to call the correct method for this. This last method, which insert the hints in the query, will operate over the string generated from the hints collection, not over a specific hint. Due to that, the method doesn’t need to be an instance method of each hint, it can be a static method. The ‘TableHint’ class is more difficult, because the hints need to be just after the table name, in the middle of the query. We can solve this by using regular expressions. 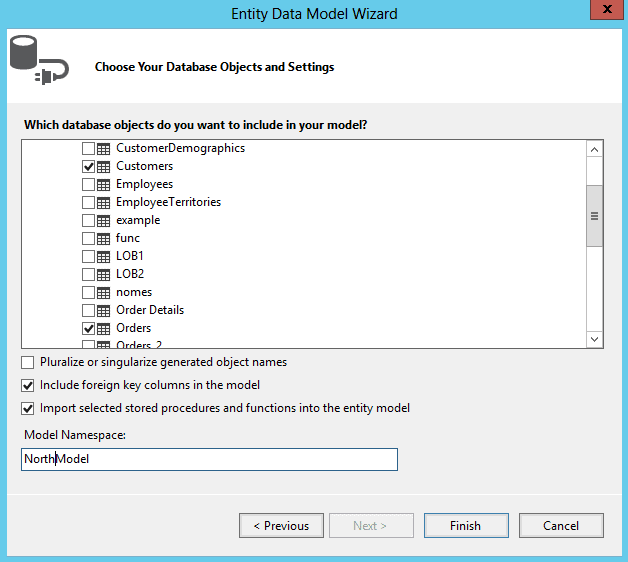 Create the ‘BuildQuery’ method in the ‘TableHint’ class. 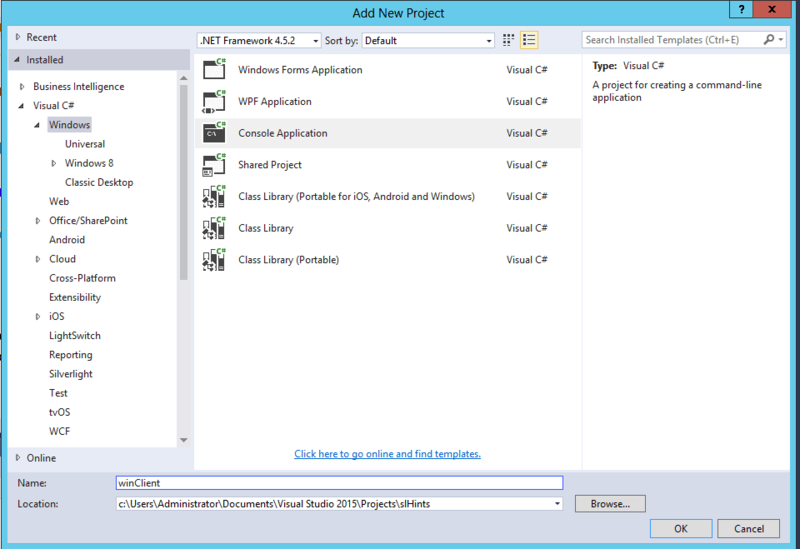 This method is responsible to insert the hints after the table name in the FROM clause in the Select statement. We will use a regular expression to find the correct position for the hints. Create the ‘HintsCollection’ property in the ‘HintsInterceptor’ class. You may notice in the code below I used the ThreadStatic attribute to ensure the concurrency of the application: one thread will not affect another. It was necessary to override two different methods: ScalarExecuting and ReaderExecuting. These methods are required to process the query for two different execution methods, one returning a single value and the other returning a resultset. After building the ‘LibInterceptor’ project, we can now test this solution to check if everything is working. We need two additional projects in our solution: one for our Entity Framework model and another one to be the client, where we will use the interceptor. 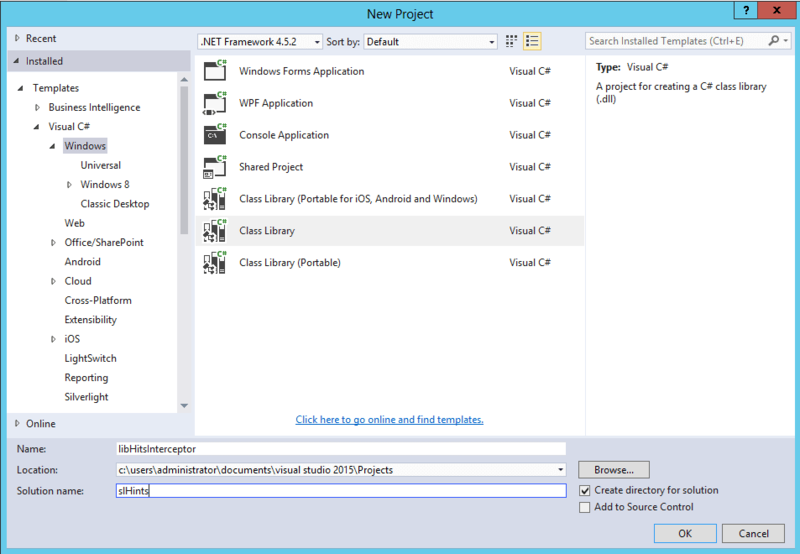 The client project can be a simple Console Application. We only need a few lines of code to test the behavior of our interceptor. The query will be executed twice in this example: the first time without any hint and the 2nd time with query hints and table hints. Click the ‘Show all Columns’ checkbox again, unchecking the checkbox. As you may have noticed, the table hints were inserted for both tables in the query, ‘Customers’ and ‘Orders’. What if we would like the hint only in a single table, not in all tables? 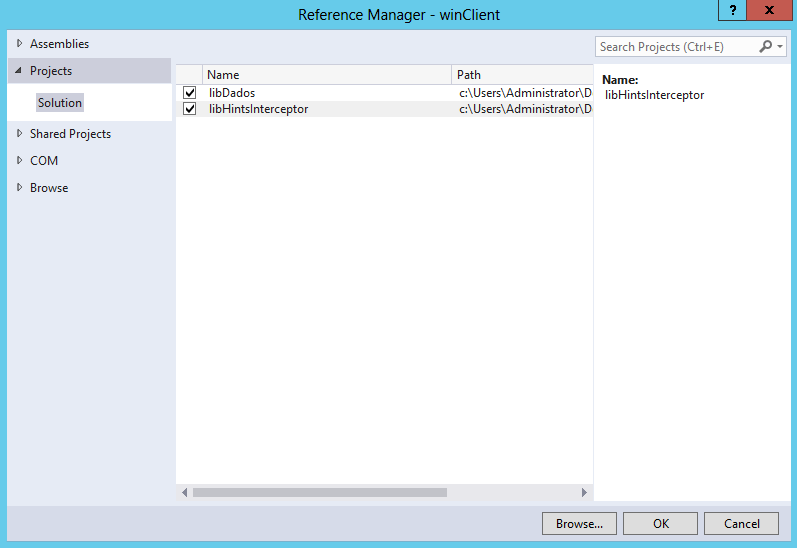 Add a new sample queries in the project ‘WinClient’, file ‘program.cs’. These examples include two different situations: in the first one, there are only table hints for specific tables. In the second one there are two types of table hints, for specific table and for every table. In the ‘TableHint’ class, create a new overload for the ‘BuildQuery’ method that accepts the table name. This is a challenge for the regular expressions, because we can have some hints for all tables and some hints for specific tables in the same query. This means that sometimes the inclusion of a hint will find the table already with some hints, other times without any hint at all. The code needs to support both situations. Change the ‘BuildQuery’ method in the ‘HintsInterceptor’ class to process the table hints considering the existence of hints for specific tables. In this code below there are calls for two private methods, ‘GetTableHints’ and ‘BuildTableQuery’, used to process the table hints. 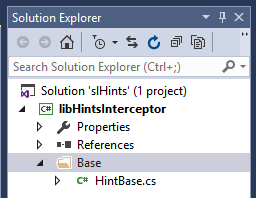 Create the ‘GetTableHints’ method in the ‘HintsInterceptor’ class. This method needs to process the hints collection, creating a dictionary with the hints string for each table name, including a list of hints common for all the tables. var key = String.IsNullOrEmpty(x.TableName) ? 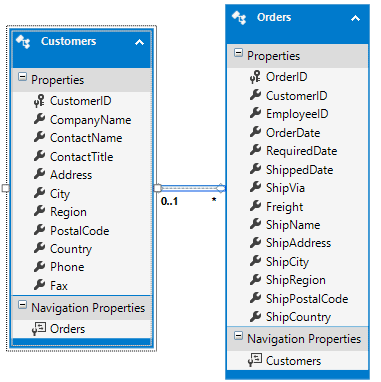 Create the ‘BuilTableQuery’ method in the ‘HintsInterceptor’ class. This method will process the dictionary previously created and call the correct ‘BuildQuery’ overloads from the ‘TableHint’ class. You need to start the trace again, in the same way that you did in step 43 and then again execute the application. This solution provides the means of using both query and table hints with Entity Framework when you are using the SQL Server provider, thereby avoiding the need to work around some problems for which hints are the obvious solution. There is still room for improvement in this solution, especially to support all the other hints that are available in SQL Server, however some of the main hints you are likely to need are already in the solution and you can easily implement more if you need them. FYI – I found this same post, albeit with a tiny attribution at the bottom, over at OnCallDBA. The formatting there is rather poor. Just letting you know in case there wasn’t permission to completely lift the article. With ASYNC operations, the HintsCollection may be on a different thread. How would you go about making this work for this?